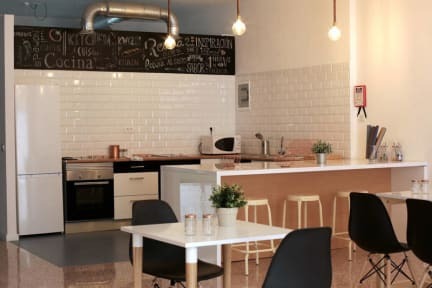 Trevejo Youth Hostel i Tenerife, Spanien: Reservér nu! Trevejo Youth Hostel is a shared accommodation right in the Historical Center and Port of Garachico. From here, you would be able to visit the rich cultural heritage of our village. Furthermore, you can practice hiking and enjoy our beaches lapped by the Atlantic Ocean. This is a superb location right in the town center. A revamped space to share with other fellow travellers. Our accommodation facilities are perfect for venturesome people and big groups. The hostel is located in the Historical Center and Port of Garachico. It is right in front ot “Plaza de la Libertad” and quite near to the edge of the Atlantic Ocean. In addition, The city Council is just five minutes away walking as well as other heritage landmarks of the town such as Iglesia de Santa Ana and Casa Palaciega de los Condes de la Gomera. And of course, there are a lot of restaurants and other leisure options really near to our hostel. The Hostel has thee dorms for six people each. Each dorm is equipped with a private bathroom. There is WIFI connection across the whole property as well as there are several common areas in which the fellow travellers or the travelling groups can relax and chat about future trips and past experiences. Trevejo Youth Hostel Policies and Conditions.